So this whole castle in Kentucky thing, random right!? Well, I am from Kentucky and very familiar with this lonely castle tucked away in the rolling hills that no one ever goes in, at least until now! It has a pretty fun story behind it but the good news is, some pretty amazing people own it now and recently renovated each room and every detail to be completely stunning. It's called The Kentucky Castle and is now a fully functioning boutique hotel...dreamy! Y'all, I can't put into words how moving these gal's voices are! Their stories, purpose, and talents brought tears to our eyes. Friday night started off with the clinking of crafted cocktails and of course, a bourbon tasting... it is Kentucky after all! 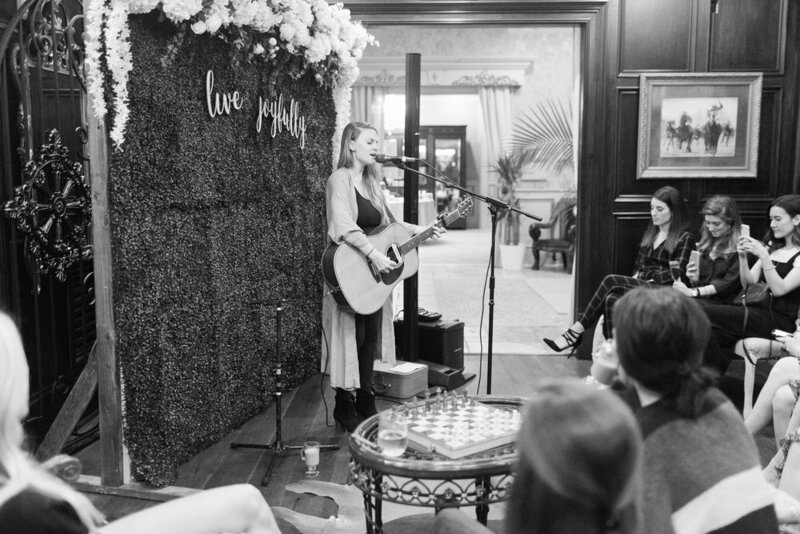 We enjoyed a beautiful farm-to-table dinner by the castle chef and settled in for a cozy acoustic evening with Jillian Edwards presented by The Deeply Co. Her voice is as sweet as her heart and I can honestly say all of us would have rested in that evening all weekend if we could and most of us shed a few tears. On Saturday we had two speakers, Ashlyn Carter of Ashlyn Writes and Ashley Lemieux of The Shine Project. I could sing praise to these women all day and if I had Jillian's voice I probably would! 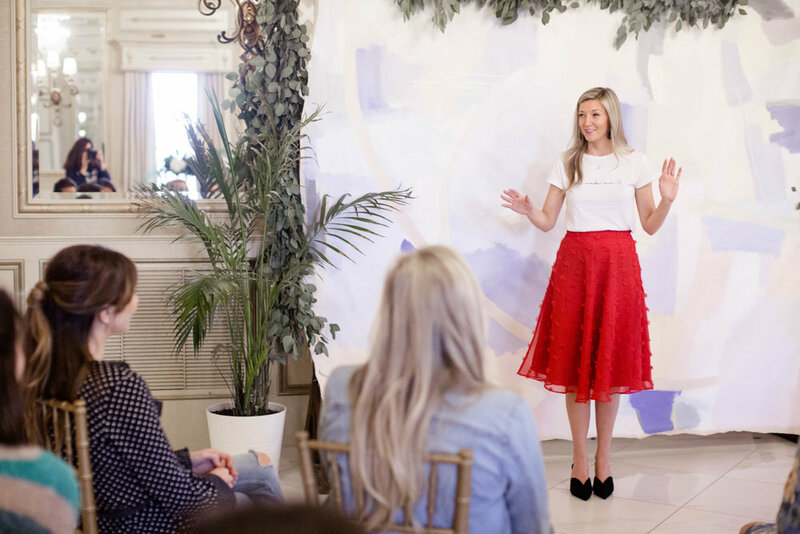 Ashlyn so famously works to hook women up with words and spoke about "The New Rules of Perfectionism." If you haven't been to her website, go now! She has so many helpful resources to help you rest in the excitement of a growing business! You can also hear her interviewed by Jenna Kutcher in the Goal Digger Podcaster here! Ashley Lemieux is a woman of many talents all dedicated to serving. She shines her light as a speaker, writer, entrepreneur (check out her darling shop!) and my personal favorite...cheerleader for the underdog! She had us reaching for the tissues as she challenged us to "Stand Up and Shine." You can hear her interview on the Goal Digger podcast here too! 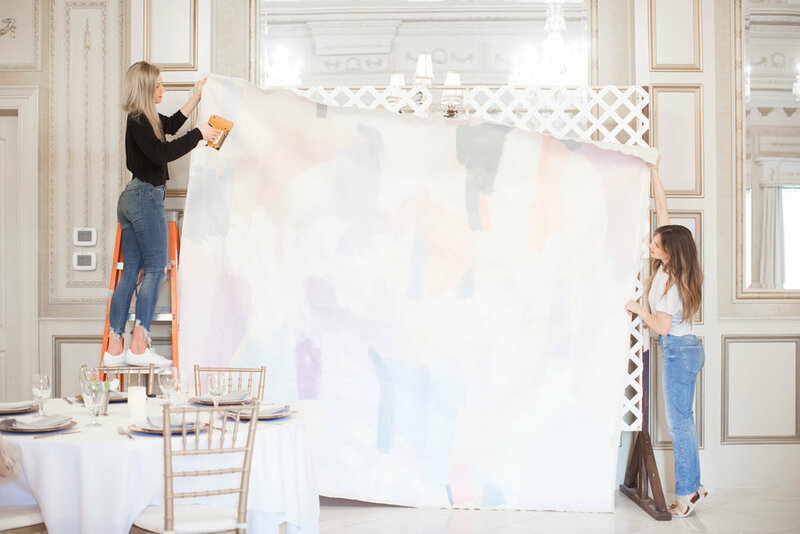 These ladies brought the message of purpose and joy right into that beautiful ballroom. Sunday morning carried a mindful tone. Mentally and physically. 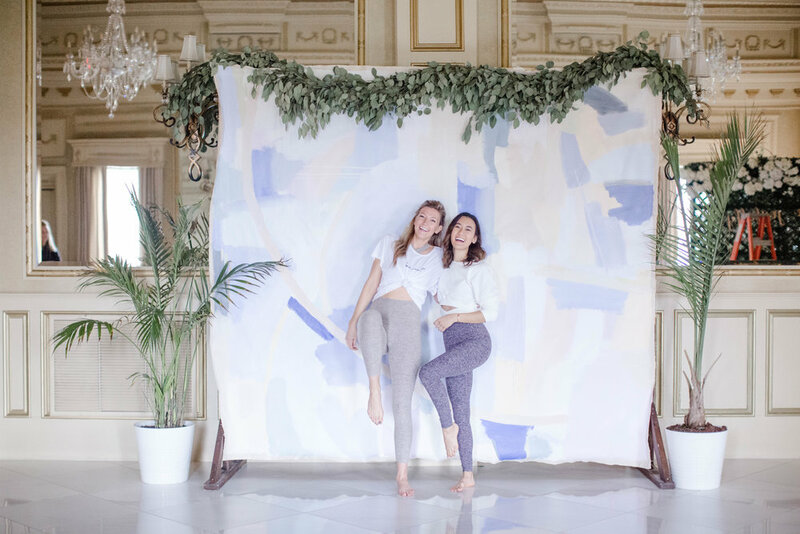 We slipped into our yoga gear and met on the mats for a flow lead by Jules Hunt of Om and the City. The perfect way to start a new week and reset after a very, let’s say tasty weekend. Jules guided us through the purpose of our lovely retreat and right back into the intention and presence of the day ahead. She even helped a few ladies get their headstands down, win! Thanks, girl! My initial vision was the ballroom slumber party! I was absolutely envisioning a scene right out of Princess Diaries and came so close to asking about the possibility of mattress surfing. I had grand plans and I didn’t want to overwhelm anyone too soon… maybe next year! I was dreaming up an evening of eclectic pajamas, flowers, a fire, and cozy pillows to sink into over conversation and endless sweets. The castle chef whipped up homemade marshmallows, chocolate bark, and graham crackers to roast in the fireplace and milkshakes were overflowing with donuts and sprinkles. It was such a TREAT! I’m still weaning myself off the sugar rush. 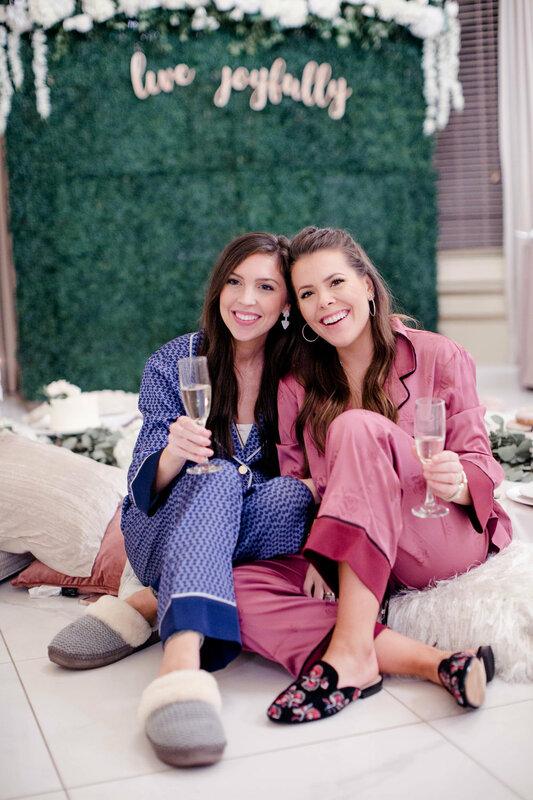 Aside from the sweets, the best party of our slumber party evening, by a long shot, was the bubbling conversation about the fear, focus, and passion we navigate each day with. Why we all LOVE what we do and how we can serve the people who support even better. 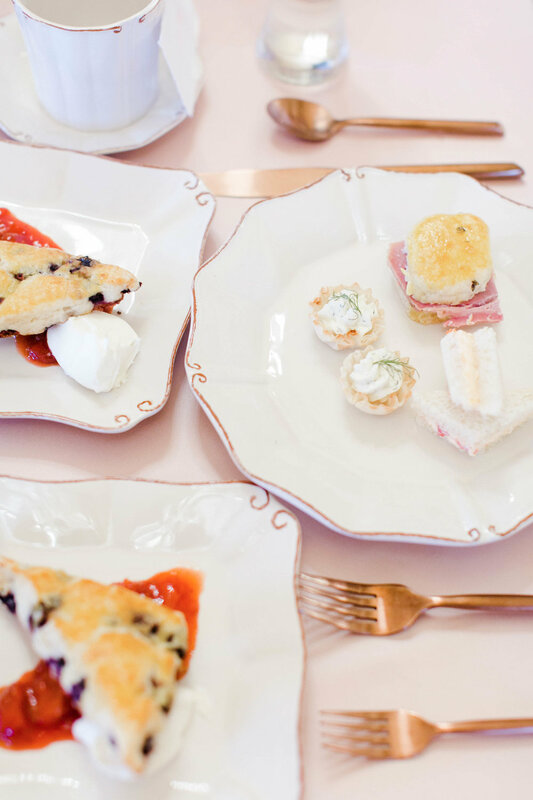 That was just one evening, Saturday was whistling from our whimsical high tea party and Sunday morning was stuffed with fresh juice and french toast. yaas! Loads of eucalyptus and fresh blooms ran off the tables and I was just on cloud nine! 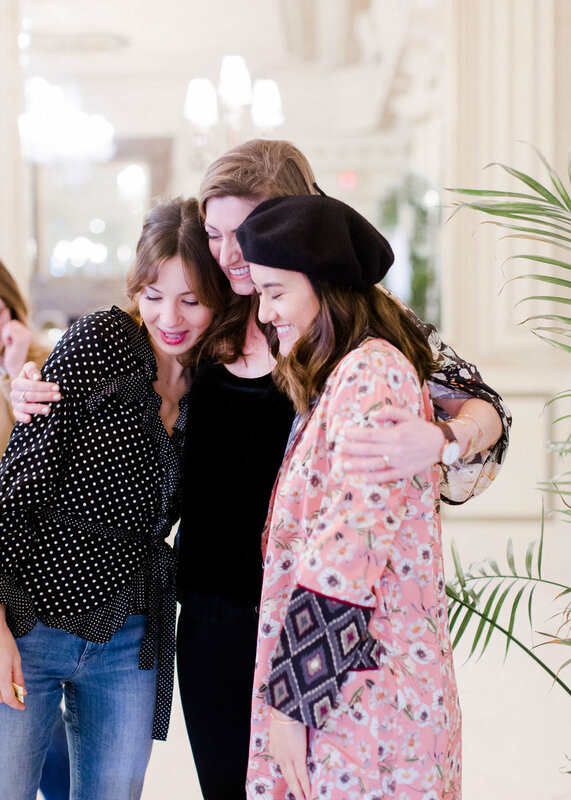 Crafted cocktails, life-giving words from our speakers, farm-to-table food, and a mindful morning of yoga tied it all together. 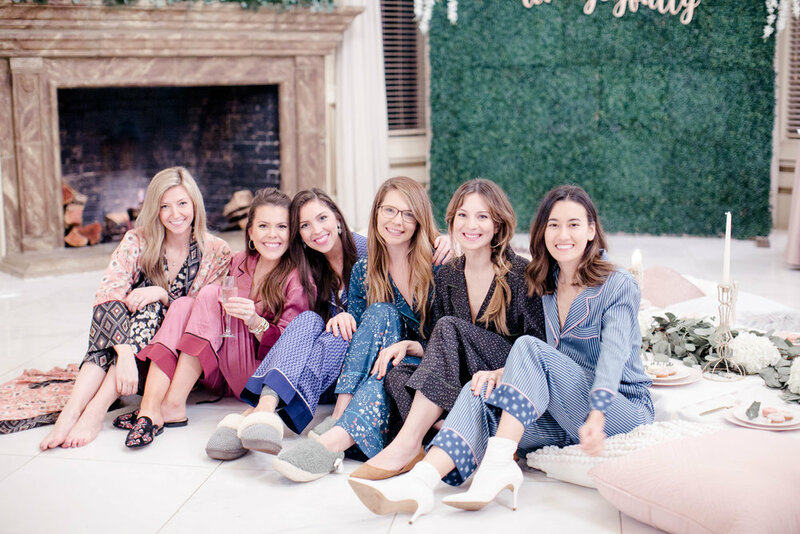 I know you all would LOVE all the ladies who made the trip our weekend retreat as much as I do! There would be no event without the guests and no conversation without their curious and kind hearts. Each gal with her own unique way to create, serve, and spread joy was so refreshing! I have all the ladies tagged in my Instagram stories, the highlight video is called “Castle Retreat” if you want a peek at our weekend away! You can also look up the hashtag #thejoyfulinfluencer to find more posts from the women who were there! I had a plan for every little detail, but while I dreamed them up I had lots of help to make them happen! That darling handmade paper and calligraphy...all Jen K Calligraphy! She was the wrist behind all the beauty of the written words this weekend. Welcome cards, itinerary, place settings….Oh. So. Pretty! Ashley Brown and Anna Ahern were my ladies behind the lens. Both beautiful friends and Kentucky based wedding photographers with a heart for travel and knack for capturing lovely moments! White Cat Weddings created all the flawless décor, place settings, flowers, and the fun floral wall! I literally couldn't have done it without them, the decor was simply stunning. So many people came together to make this weekend happen, I'm so grateful for each and every one of them. Thanks, Ladies! I was so close to calling the weekend off for fear of failure, rejection and the unknown of doing something totally new and huge. But resting in this moment of reflection and reading the kind words of these new friends, I realize what we would have missed if fear won this fight. It would have been so easy to not plan it or risk it and simply go with the usual but I’ve slowly come to terms with the idea that fear is good. Not that it should “win” but lead the way. Fear of the Lord is meant to be empowering and discerning. So, when fear is whispering you’re not good enough, you’re not unique enough, you’re not anything enough to pull it off then by golly I’m going to go for it! Or at least try and talk myself into it… I’m treating it like a signal, let’s say a light bulb, going off to tell me those aren’t whispers of the Lord, but someone else working to keep from reaching my potential and spreading joy. Just something I’m working on for now at least. By no means am I facing fear gallantly, just more curiously than before. I enjoyed this weekend far too much and I’m looking forward to planning more events this year! Thank you, everyone, who made this magical weekend possible!